On the A592, 1 mile from Windermere. If approaching from the north, do not follow satnav but follow brown tourist signs. The Gardens are open to visitors every day, from dawn to dusk. Visitor Information is manned by volunteers from 10am to 4pm daily, from April to October. Visitor donations Admission is by donation - we suggest a minimum of £5 per adult, with free entry for children. Visitor donations make an important contribution to the cost of maintaining the Gardens and are greatly appreciated by the LHS. 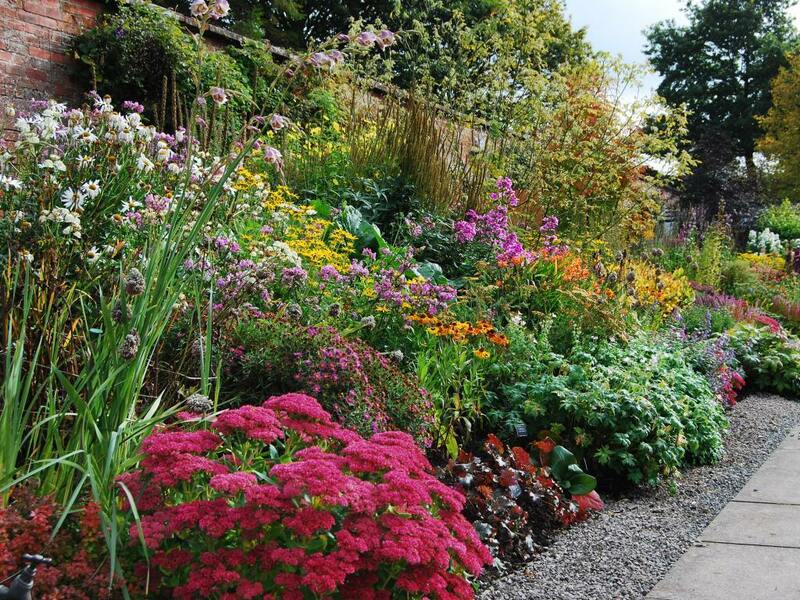 If you are a regular visitor, why not consider joining the Lakeland Horticultural Society to enjoy free access to the Gardens as often as you like? Visitor Information is situated inside the Walled Garden and is staffed by volunteers from April to October. This is the place to ask any questions you may have about your visit and to pick up a map of the Gardens or one of our excellent Children's trails for younger visitors. 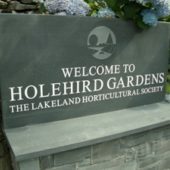 Here you will also find copies of the 'Guide to Holehird Gardens', plant information leaflets and postcards for sale, all produced by members of the Lakeland Horticultural Society. This is also the place to buy a cup of tea, coffee or hot chocolate when refreshment is called for. The Plant Sales Area in the Walled Garden sells only plants grown at Holehird. There are generally plants available for sale from the time of the first flowering of spring bulbs through to the end of October. When the area is not manned, please pay for plants in Visitor Information, or put the money, together with the coloured plant label, in the donation box near the door. Every Wednesday morning from May to September visitors may join a guided walk, led by one of our volunteer gardeners. There is no charge for this and no need to book - just meet outside Visitor Information at 11am. We welcome coach parties to Holehird Gardens but it is essential to book in advance. Parking for coaches is at the bottom of the drive. Visitors entering the Gardens on foot from Patterdale Road or from our small coach park should be aware that the Walled Garden is situated about 400 yards from the entrance, up a steeply sloping tarmac drive. To book a group visit, please contact groups@holehirdgardens.org.uk. Please include in your email the date and time of your proposed visit and the number of people in your party, as well as your name, telephone number and e-mail address. 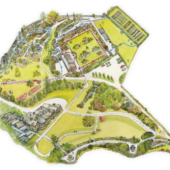 A map showing the parts of the Gardens which may be accessed by visitors with limited mobility is available and may be downloaded from this page. 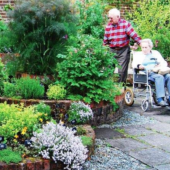 Most of the Walled Garden is accessible to disabled visitors. The approach is easier through the gate from the Courtyard, rather than directly from the car park - follow the low wall round to the left of the Welcome board. Most of the heather and winter beds, as well as the National Collection of astilbe, may be viewed from the main drive, which has a gentle incline. The stunning view of the surrounding fells can be seen by all our visitors from the Dale Panorama, close to the car park. Please note, however, that the rockery slopes and fell border paths include some steps and are, in places, steep and uneven and unsuitable for wheelchairs. There is a disabled toilet, accessible by RADAR key, in the Courtyard. Dogs, with the exception of assistance dogs, are not allowed in the Gardens. Free parking can be found outside the Walled Garden by following the signs from the entrance gates. This can become busy in summer, particularly on Wednesday mornings when many of the volunteer gardeners are at work. On those days, please follow the signs to the overflow parking area. 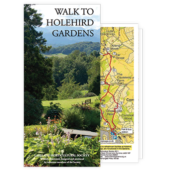 Walking from Windermere A leaflet describing two walking routes to Holehird Gardens from Windermere may be downloaded. Printed copies of the leaflet may be obtained from Windermere Information, close to Windermere railway station and the start of the walks.